Roger Stone Indictment – Read it here. Roger Stone Federal Criminal Indictment raises more questions than it answers. It has now become clear that GOP dirty trickster Roger Stone, may have worked with WikiLeaks founder Julian Assange, and Guccifer 2.0, an ostensible Russian hacking entity or operation which likely operated directly under the auspices of the Internet Research Agency, a Russian cyber counter-intelligence unit, aka “troll farm,” to influence the outcome of the 2016 General Election for GOP Presidential nominee Donald Trump. History proved that it was anything but. Two years later, Richard Nixon would become the first and only U.S. president to resign, his role in the criminal conspiracy to obstruct justice — the Watergate coverup — definitively established. Another answer has since persisted, often unchallenged: the notion that the coverup was worse than the crime. This idea minimizes the scale and reach of Nixon’s criminal actions. Ervin’s answer to his own question hints at the magnitude of Watergate: “To destroy, insofar as the presidential election of 1972 was concerned, the integrity of the process by which the President of the United States is nominated and elected.” Yet Watergate was far more than that. At its most virulent, Watergate was a brazen and daring assault, led by Nixon himself, against the heart of American democracy: the Constitution, our system of free elections, the rule of law. Skeptics abounded when it was announced that Mr. Colson had converted and become Christian. Their skepticism was misplaced, for Mr. Colson’s conversion was genuine. If anything, Mr. Colson’s life is a story of the redemptive and transformative power of the living Christ. His life story is a familiar one. A man with significant talent and power goes terribly awry. When confronted with the error of his ways, he is genuinely repentant, and changes his ways. He become another man altogether… a man no one would recognize, were it not for his name to identify him. May he rest in peace, and may his memory be blessed. 1If I speak in the tonguesa of men and of angels, but have not love, I am only a resounding gong or a clanging cymbal. 2If I have the gift of prophecy and can fathom all mysteries and all knowledge, and if I have a faith that can move mountains, but have not love, I am nothing. 3If I give all I possess to the poor and surrender my body to the flames,b but have not love, I gain nothing. 8Love never fails. But where there are prophecies, they will cease; where there are tongues, they will be stilled; where there is knowledge, it will pass away. 9For we know in part and we prophesy in part, 10but when perfection comes, the imperfect disappears. 11When I was a child, I talked like a child, I thought like a child, I reasoned like a child. When I became a man, I put childish ways behind me. 12Now we see but a poor reflection as in a mirror; then we shall see face to face. Now I know in part; then I shall know fully, even as I am fully known. 13And now these three remain: faith, hope and love. But the greatest of these is love. 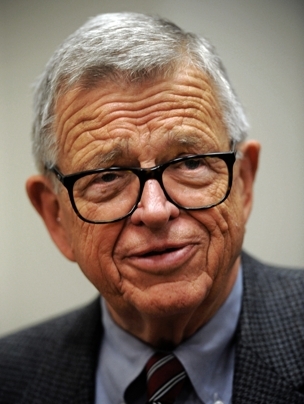 (CBS News) Chuck Colson, a former aide to Richard Nixon, evangelical leader, author and nonprofit founder, died Saturday at the age of 80. He passed away at a hospital in Northern Virginia, three weeks after surgery to ease intercerebral hemorrhage — a large pool of clotted blood in his brain. Colson was Nixon’s special counsel and was part of the Watergate scandal which led to Nixon’s resignation. He was known as the president’s “hatchet man,” and also served on Nixon’s re-election committee, which plotted and attempted to steal information from the Democratic Party headquarters. Colson pleaded guilty to obstruction of justice and served seven months of a one-to-three year prison sentence. According to his bio for Prison Fellowship, Colson formed the idea of Prison Fellowship when a fellow inmate told him “there ain’t nobody cares about us. Nobody!” Colson started the organization and ran it for 33 years.